Since it was so nicely preheated, I took a pizza wheel to some corn tortillas in the frig and threw them onto a cookie sheet. I solar cooked them for maybe 15 minutes. The result was some lovely tortilla chips that had no oils! 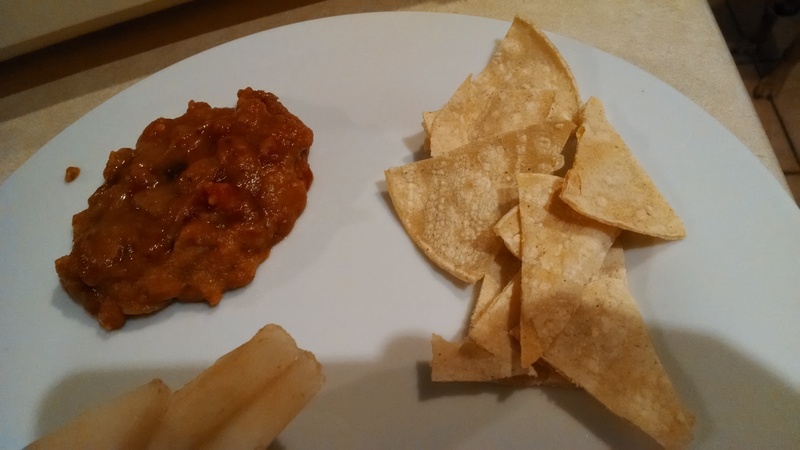 I served them with some refried beans and salsa and sliced fruit. It was yummy and tasted better than fast food! Rating: a nice alternative to store chips. We will be doing this again!